Otakuthon has always been my favourite con of the year! This year was so fun, I got to hang out with my friends, watch some awesome performances, eat yummy food and of course, cosplay! Friday the con opened up earlier than normal due to the sheer popularity of the event. I wore my Saber maid cosplay and for the majority of the day I hung out with other fate cosplayers in the dealers room. There were four different Sabers so we all got together and took photos at Droo's photo booth. Midway through the afternoon I had to run to do my shift at the cosplay repair room. The cosplay repair room was hosted by Helios Makerspace which is a makerspace located in Montreal that was started by my boyfriend Corey and some of our mutual friends! 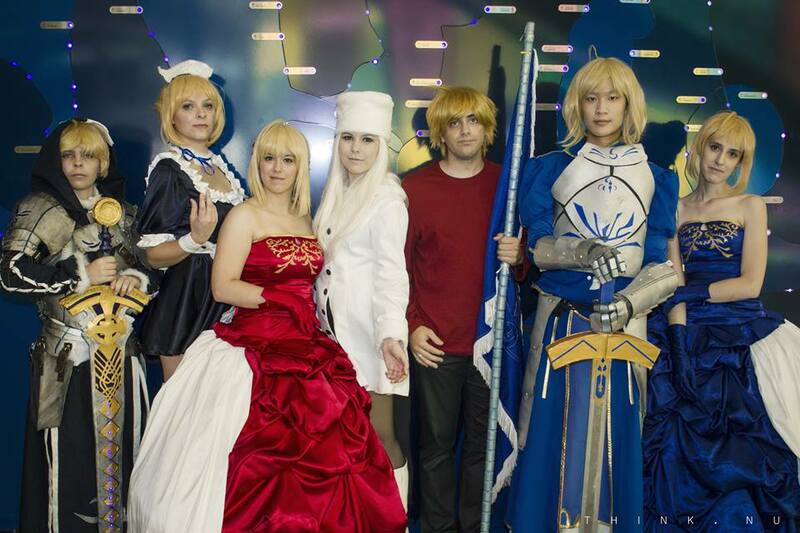 Friday evening was spent watching the World Cosplay Summit Canada preliminaries. We are officially able to compete in the actual WCS! 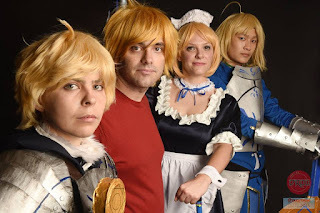 Saturday I opened up the cosplay repair room as Saber maid with Corey and Cameron. I was the go to person when a cosplayer needed help fixing their costumes, of which we had a lot because the masquerade green room started super early (like 2 pm)! I didn't enter the masquerade mostly because I didn't get to finish my Magic Knight Rayearth costume enough for me to deem it competition level. After my shift I went to Think.Nu's free photo shoot event where I teamed up with a bunch of other Fate cosplayers for another shoot :). Bandits wore her Umi from Magic Knight Rayearth and she got some gorgeous shots! I changed into my Fuu costume after the shoot and together, Bandits, Alex, Corey and I went to the masquerade to cheer on our friends. There was some crazy competition this year, it was a good call on my part to not enter without my sword! After the masquerade, Corey and I went out to dinner with some of our masquerade friends who we didn't get to hang out with much at the con yet. 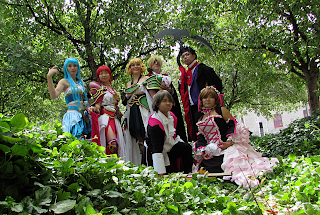 Sunday we had our full Magic Knight Rayearth group. My friend Jen joined us as Hikaru! We had a photo shoot scheduled with Another Exposure and I can't wait to see the results! We had so much fun :P Sunday ended quite late for Corey and I because we attended the closing ceremonies as well as the feedback panel. We just didn't want the con to end!! I am totally looking forward to next year! !